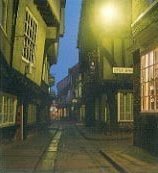 No other city offers the magical charm and beauty of York. Outstanding architecture and 2000 years of history combine with bustling shopping streets and numerous award winning, world-class attractions. With over 30 museums, galleries and tours to choose from in its compact centre, England's Best Historic City offers something for everyone whatever the time of year! 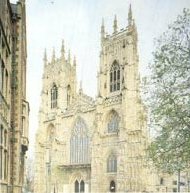 You can visit the internationally acclaimed Jorvik Viking Centre, Castle museum, York Minster, Yorkshire museum and gardens, York Dungeon, York WaxWorks and the National Railway Museum, the home of the largest collection of steam Locomotives in the country (including the world famous Mallard). Evening entertainment in the city is equally varied and might involve a moonlit boat cruise, a concert or theatre visit, or ghost tour around one of the most haunted cities in Europe. A wide range of restaurants serve both traditional English and fine international cuisine, and the city is reputedly home to a pub or wine bar for every night of the year!. An exciting calander of events and festivals runs throughout the year and includes the ever-popular Jorvick Viking Festival and St. Nicholas Christmas Festival, together with the nation's largest annual Festival of Food and Drink.